Pick up OK Brand Handy Panels at Farmers Coop in Fayetteville and SAVE! Take $1 off each Handy Panel in February, at Farmers Coop in Fayetteville. 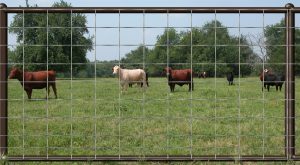 The versatile OK Brand Handy Panel is for cattle, swine, sheep and goats, and horse containment or lawn and garden projects. Manufactured using a galvanized-before-welding process to eliminate sharp edges or burrs. Pick up Handy Panels at Farmers Coop in Fayetteville. These utility fence panels have multiple uses on the farm as well as residential purposes. These light-weight panels are extremely versatile for many applications, which include hog pens, hog traps, dog pens, and many other farm and residential uses. Stop by Farmers Coop in Fayetteville for Handy Panels and SAVE in February! This entry was posted on Tuesday, January 17th, 2017 at 7:09 pm	and is filed under Events, News & Updates. You can follow any responses to this entry through the RSS 2.0 feed. Both comments and pings are currently closed.